Today, the Department of Consumer and Regulatory Affairs (DCRA) launched the next round of Safe & Simple initiatives aimed at improving the way we serve District residents and businesses. The two (2) new initiatives that will be available immediately are: a how-to permitting video and a step-by-step Ramp Guide for building an ADA-complaint ramp. 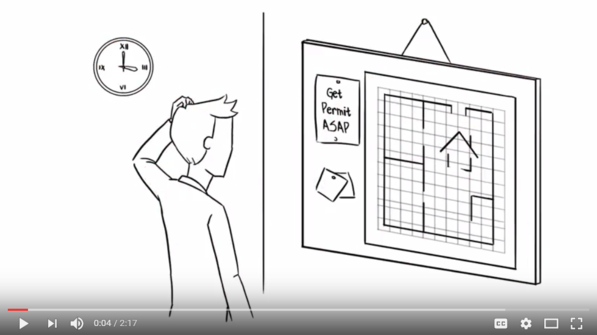 This video will help customers navigate the permitting process, educate the public on how to submit a complete set of plans, and highlights how to avoid common application errors. 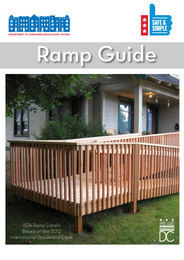 The Ramp Guide will assist homeowners in designing an ADA-compliant wooden ramp, obtaining a building permit and passing inspections. The guide presents homeowners a step-by-step process to acquire the permits needed to build a handicap ramp for their residence. The Ramp Guide provides seniors with a resource that will assist them in the process of aging in place. If followed, the guide will ensure design and construction of the ramp is consistent and code compliant. It covers the application submittal, zoning approvals, process fees, code calculations, inspection procedures and many other aspects of proper construction. The two (2) new initiatives announced today add to a growing list of improvements—such as Online Appointment Scheduling, Online Permit Inspection, and Deck Guide—offered by DCRA to customers. DCRA will be releasing additional service enhancements connected to this new initiative in the coming weeks and months. Learn more about our new initiative and services on our Safe & Simple webpage.